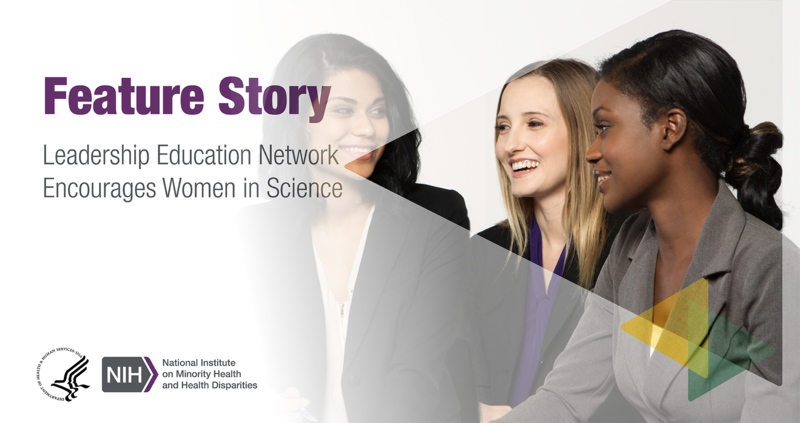 Women in science at NIH are inspiring next-generation leaders through the Public Leadership Education Network. Read more. 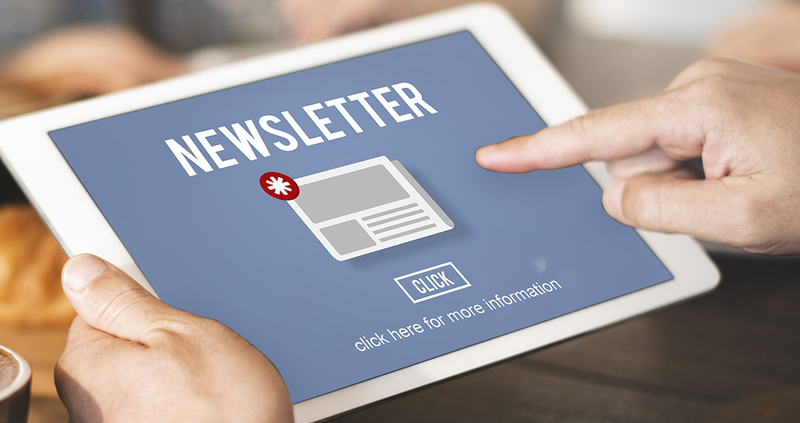 Learn more about NIMHD's research news stories, blog posts, staff publications, funding opportunities and more in the quarterly NIMHD e-Newsletter. Subscribe Today! 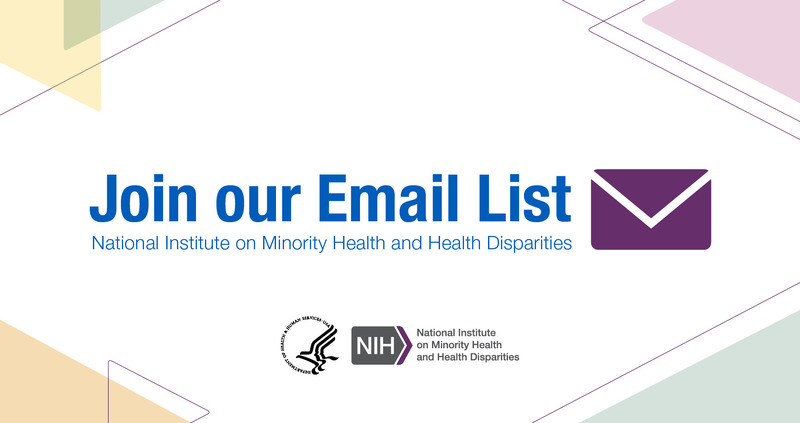 Sign up for NIMHD Updates to stay abreast of what we’re doing to advance the science of minority health and health disparities. March is National Nutrition Month. 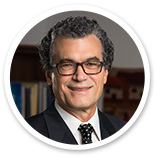 Learn tips to help you win on your healthy eating journey. February is American Heart Month. 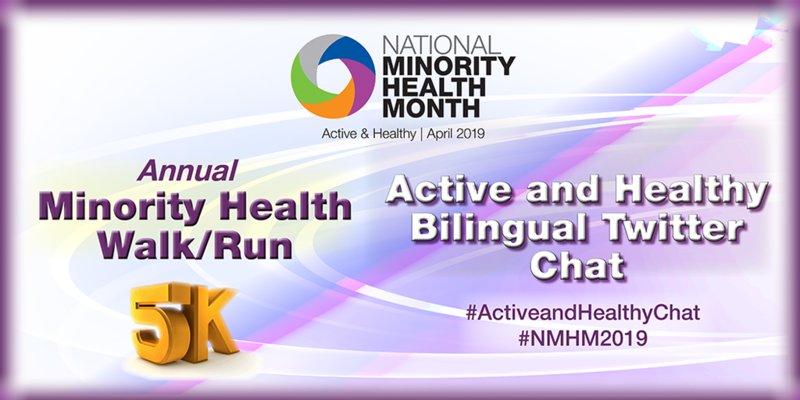 Learn how heart health impacts minority health and health disparities in a new blog post on NIMHD Insights. 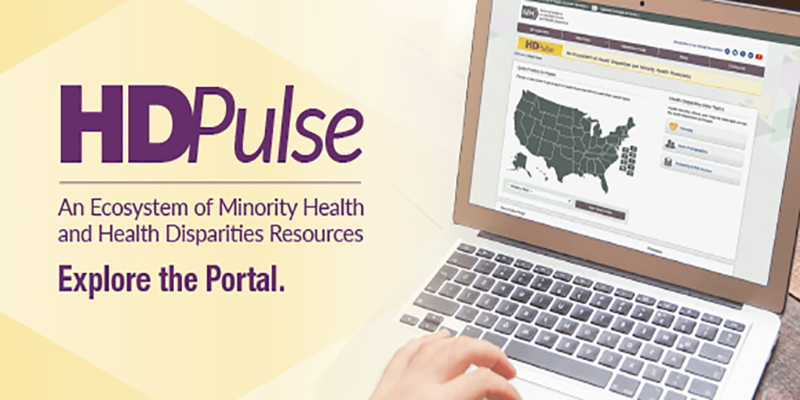 Visit the Data Portal to explore Health statistics, charts, and maps by data topic across the health disparities continuum. NIMHD-supported researcher Sanika Chirwa, Ph.D., explores the role sleep might plan in maternal health disparities. 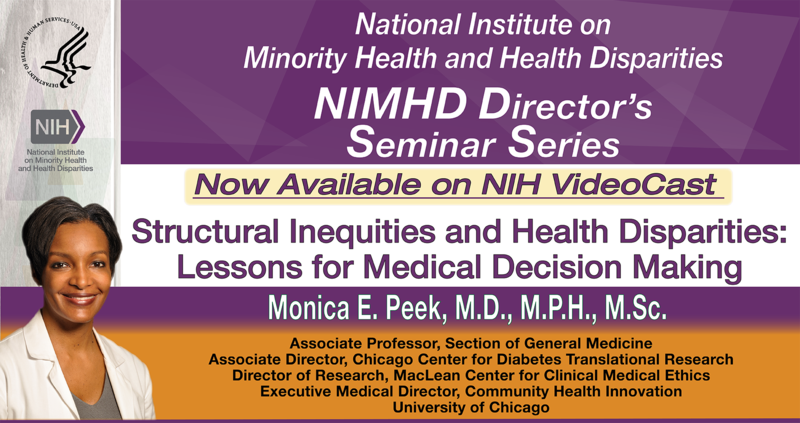 Dr. Faustine Williams joins NIMHD to help improve health outcomes among minorities and underserved populations.